It was exactly what we had in mind/needed, about 5' by motorbike from the town (or so it felt), peaceful and quiet place. The view from the room was beautiful and unobstructed you can even see Portara clearly from there. The kitchen is fully furnished for those wishing to cook. The guys at the reception were truly helpful suggesting places to visit and to eat at, even for ordering in food/coffee. 5 of us stayed there and there was enough room for another 2. The host was very helpful and very approachable. We really appreciate all the insights he gave us to make our trip memorable . Excellent view over Naxos Chora and the Sea. Well kept facilities including the pool. Very helpful staff. Relaxed place with nice apartments. Our host was fantastic, we really enjoyed our brief stay here. 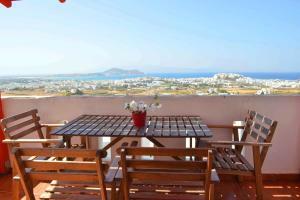 Fabulous views over Naxos town. Very friendly, welcoming and helpful staff. 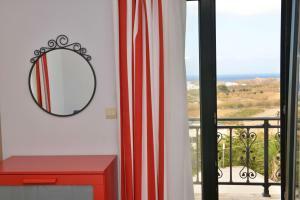 We loved the amazing panoramic view from our lovely spacious balcony of our penthouse apartment. The apartment was comfortable and homely. Nice swimming pool. 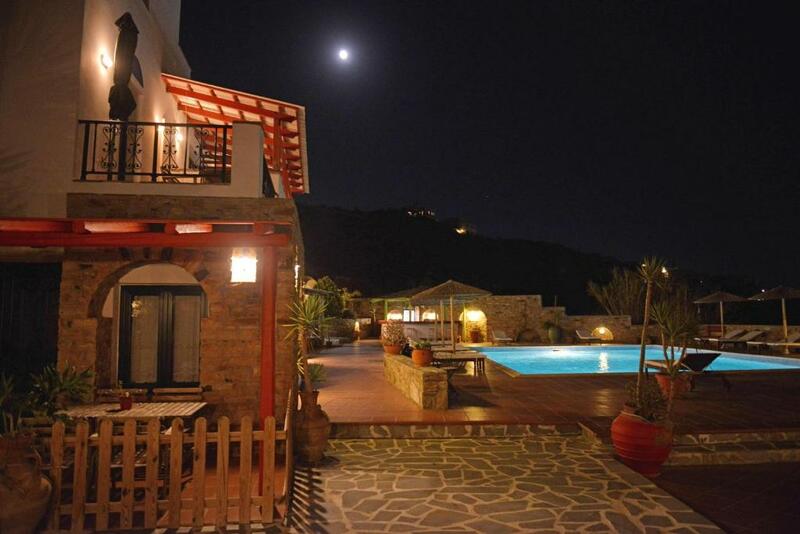 Superb views of the sunset, excellent pool and very friendly staff. 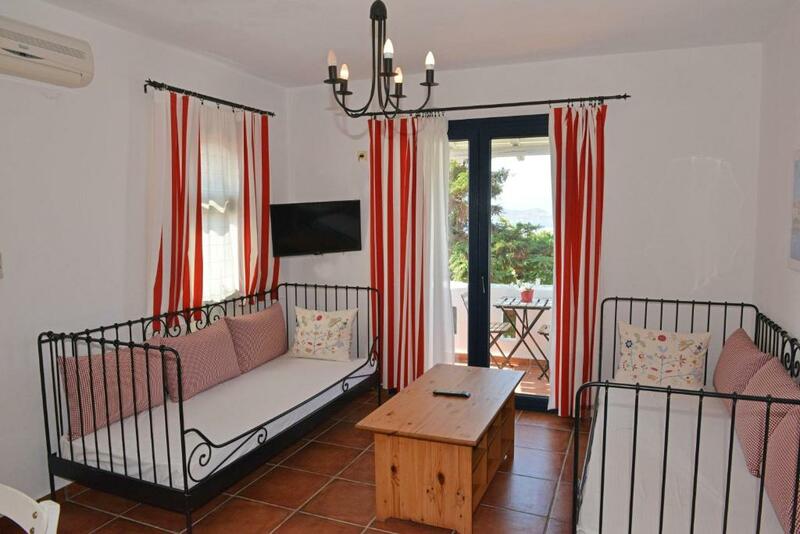 Lock in a great price for Paradisia Villas – rated 9 by recent guests! 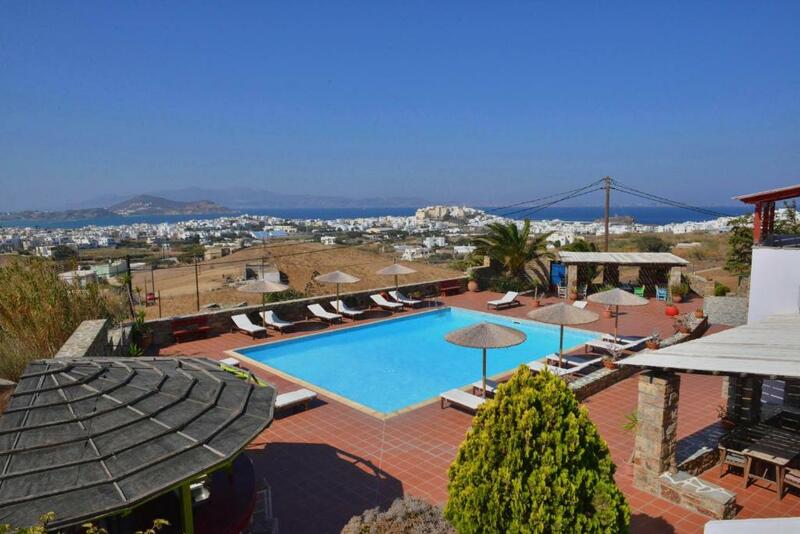 Offering a spectacular view of the Aegean Sea and the Portara, the ancient Gate of the Temple of Apollo, Paradisia Villas are located approximately 0.9 mi from the center of Naxos. Paradisia Villas consists of 16 well-furnished and airy apartments, all of which feature a kitchenette, a TV and air-conditioning in the living rooms. 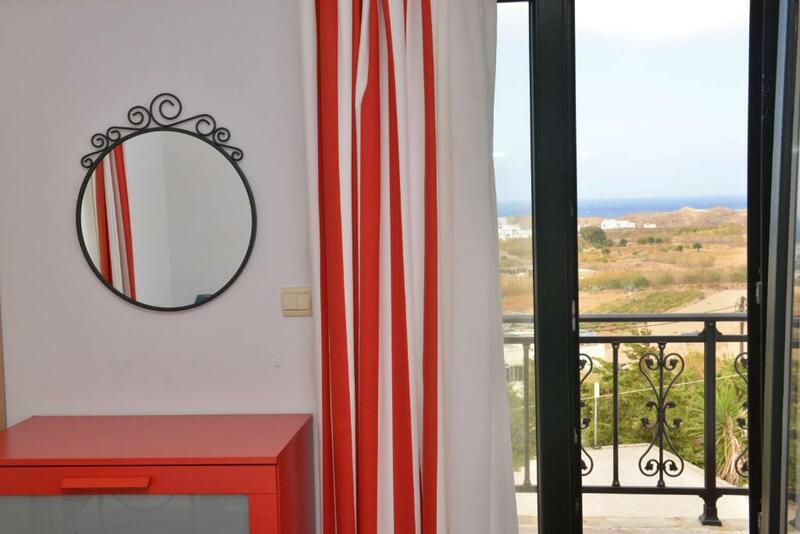 The balconies and the shared terrace at Paradisia Villas enjoy breathtaking views of the sea and the Portara. Guests of Paradisia Villas are provided with a number of organized facilities and services, including a swimming pool and a pool bar. When would you like to stay at Paradisia Villas? Located on the 1st floor with town views, this tastefully furnished apartment comes with living room, a bedroom, TV and private balcony. The air-conditioning is included in the living room. Kindly note that cleaning service, as well as change of linen and towels take place every 3 days. 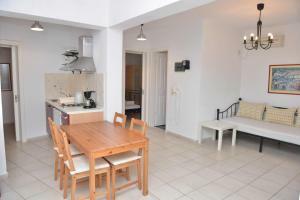 Split-level apartment with wooden beamed ceilings, fully equipped kitchen with dining area and living room. It opens to balconies with sea and town views. Please note that the air-conditioning is included in the living room. This apartment can accommodate up to 8 guests. Spacious apartment featuring 2 separate bedrooms, fully equipped kitchen with dining area and living room with air conditioning. 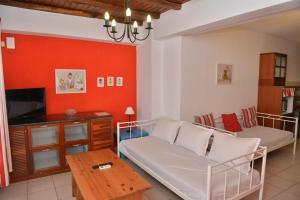 This apartment can accommodate up to 6 guests. Please note that the air-conditioning is included only in the living room. 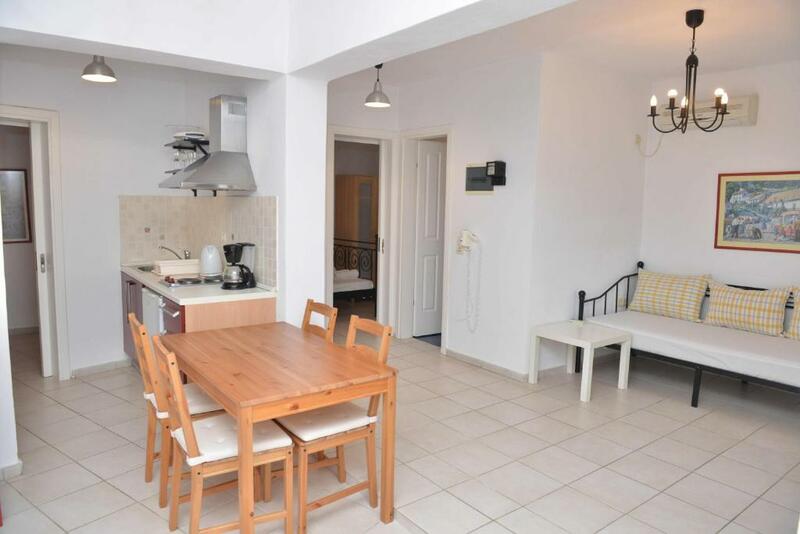 Located on the ground floor, this apartment has air conditioning in the living room, balcony and kitchen. It offers pool views. This split-level apartment is located on the first and second floor. It provides an open-plan living room with kitchen, 2 bedrooms and a bathroom. 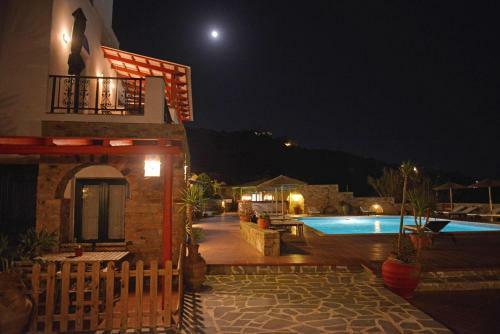 It has balconies with town, sea and pool view. Air conditioning is available in the living room and the one bedroom. Located on the ground floor with garden views, this tastefully furnished apartment comes with living room, a bedroom, TV and private balcony. The air-conditioning is included in the living room. Kindly note that guests have to climb some stairs in order to access the apartment. 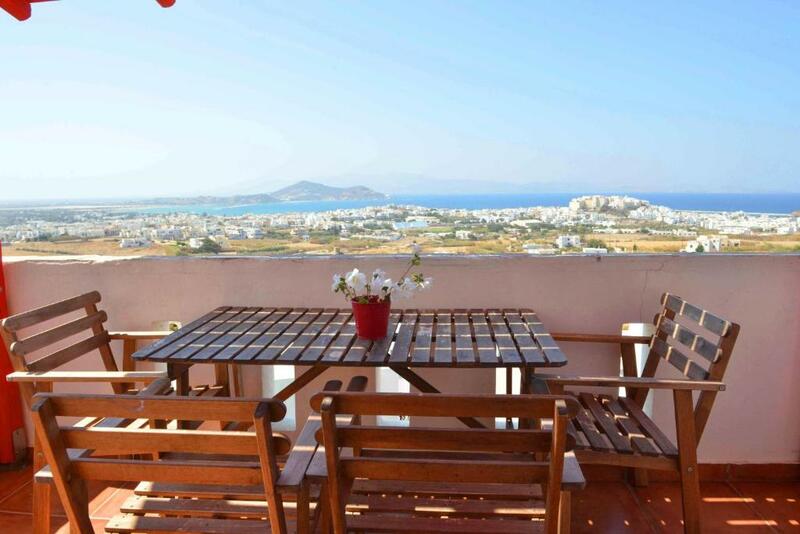 Located on the 2nd floor offering panoramic view to Naxos town and the Aegean Sea, this apartment has a seating area, 2 bedrooms, and a well-equipped kitchen. Kindly note that the air conditioning is provided only in the seating area. House Rules Paradisia Villas takes special requests – add in the next step! Paradisia Villas accepts these cards and reserves the right to temporarily hold an amount prior to arrival. Please note that this property has no 24-hour reception. Guests are requested to inform the property in advance of their time of arrival. Guests are advised to have a car. Please note that the pool is open from April 15 until October 15. The bathroom was a bit small and the kitchen was lacking a few basic utensils and cookware. There wasn't anything we didn't really like about the hotel, only thing worth pointing out for people on motorbikes/bikes is that there is some soil falling on the road leading up to it so be careful there. The location was a little away and can be approached only by car. The bathrooms were very small. You need a rental car/scooter.Not just for this magnificent establishment but to be able to visit all the wonderful beaches on Naxos. There are lots of steps but it was no problem for us. Would not suit guests with mobility problems. Slightly small basic bathroom but not that important. A 20 minutes walk out of town and uphill so much more comfey with a hire car. You do need a car and the small road to get to the property is a little confusing. I love EVERYTHING about this place! We had a 2-bedroom apartment will a well equipped kitchen, TV, wifi and a beautiful patio where we spent most of our time looking at the beautiful scenery. The property is a short drive from the port so it's very quiet and relaxing. The pool and piblic areas are lovely. Stefano is a gracious host and helpful with everything we asked for..
Quiet and relaxed. Nice pool area. Very spacious 1 bedroom apartment. Extremely friendly, helpful and informative host. Fabulous views over Naxos Town and far beyond.